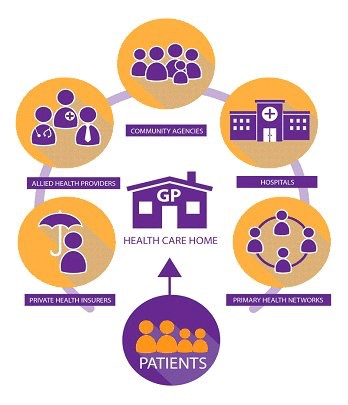 ” Health Care Homes is a major reform of primary health care and aims to reshape the management of chronic and complex conditions by placing patients at the centre of care with general practice and Aboriginal community controlled health services (ACCHS). The Minister for Health, Sussan Ley, today announced that medical practices in selected regions around Australia can apply for stage one of Health Care Homes. In stage one, Health Care Homes will be rolled out in selected regions from July 2017. Ms Ley said: “Health Care Homes aims to deliver more flexible care for people with chronic and complex conditions. “This has never been more important with one in five Australians living with two or more chronic conditions. Ms Ley said Health Care Homes is an important reform of primary health care services, which are the first and most common point of contact for most Australians. It demonstrated the Turnbull Government’s commitment to a healthier Medicare. Last year the Government invested more than $21 billion in Medicare to ensure all Australians had access to affordable universal healthcare and Medicare funding is expected to grow by another $4 billion over four years. Under the Health Care Home model, practices will be given a monthly bundled payment for delivery of effective care to patients with chronic and complex health conditions. Ms Ley acknowledged that doctors and health professionals had played a key role in introducing the concept of the Health Care Home model. Health Care Home services will be delivered in implementation sites from 1 July 2017 until 30 June 2019 in the first stage. Evaluation of Health Care Homes in these regions will inform refinement of the new model of care and its suitability for broader rollout. General practices and ACCHS in these regions can now apply for stage one of Health Care Homes: Perth North; Northern Territory; Adelaide; Country South Australia; Brisbane North; Western Sydney; Nepean Blue Mountains; Hunter, New England and Central Coast; South Eastern Melbourne; and Tasmania. The department is seeking applications from eligible organisations within ten Primary Health Network regions for a restricted competitive grants program consisting of one off payments of $10,000 (GST exclusive) each. This funding round will identify eligible organisations to participate in Stage 1 of the implementation of Health Care Homes. This payment is intended to incentivise participation and facilitate readiness for a program start date of 1 July 2017. Under this model, eligible patients with chronic and complex health conditions will voluntarily enrol with a participating medical practice known as their Health Care Home. This practice will provide patients with a ‘home base’ for the ongoing coordination, management, and support of their conditions. Patients will nominate a preferred clinician within the Health Care Home and a tailored care plan will be developed by the clinician in partnership with the patient. Stage 1 of the model will be implemented across ten Primary Health Network (PHN) regions that were selected to provide a good cross section of metropolitan, regional, rural and remote locations, and to leverage chronic disease programs operating in these regions.